Document Advisor:1.Confirmed return air ticket (not compulsory before applying for the visa). We wou.. Document Advisor:1.Confirmed return air ticket with trip itinerary.2.Original passport.3.Singapore v.. 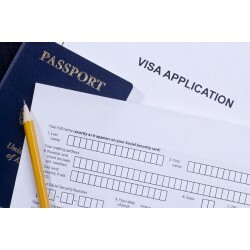 Document Advisor:1.Passport or travel document with a validity not less than 6 months.2.Visa applica..